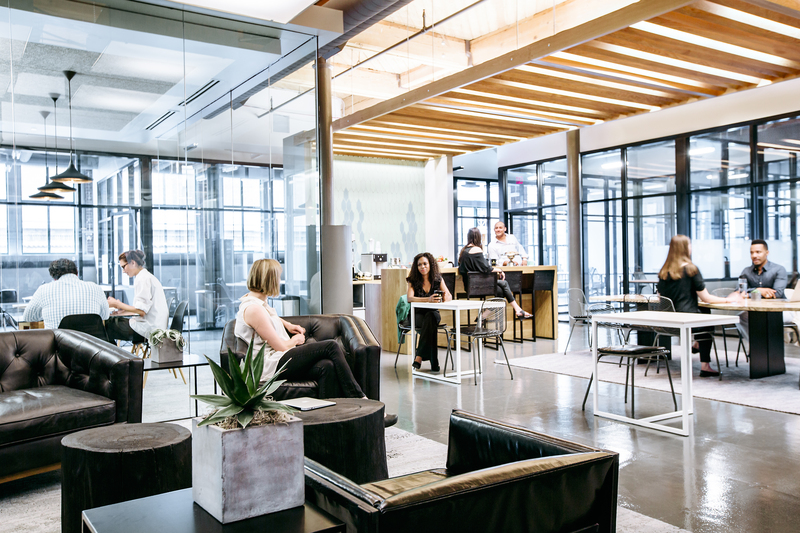 The co-working office competition is accelerating in the Twin Cities with two Chicago-based firms recently announcing expansions in downtown Minneapolis. Industrious has signed a 20,000-square-foot lease on the 28th floor of the RBC Plaza, which sits at the corner of Nicollet Mall and S. 6th St. The news comes two months after Assemble Shared Offices announced a lease at 15 S. 5th St. for 16,000 square feet. Both companies were founded in Chicago and will open their first Minnesota locations less than a block from one another this fall. Co-working offices are places where freelancers, independent contractors and entrepreneurs share the cost burden of an office while gaining WiFi, free coffee and professional-social interactions. This will be Assemble's third coworking location, and its first outside of the Chicago market. Industrious has five co-working spaces around the nation and its new Minneapolis location will be among six expansion cities. Meanwhile, Minneapolis-based CoCo celebrated its fourth Twin Cities location in Northeast Minneapolis last month. While locally based, CoCo is a part of a coworking network of other shared-space companies in other markets, such as WorkBar in Boston or NextSpace in Los Angeles and San Francisco. Another near-downtown Minneapolis co-working spaces is Joule in the Mill District. These are just a few of the coworking spaces across the Twin Cities, including others in St. Paul and Excelsior. Industrious' new space will have 60 private offices with room for between 1 and 12 people. Assemble is investing $1.2 million in renovations and will offer 50 private rooms that will open about two weeks before Industrious. Cushman & Wakefield/NorthMarq represented RBC Plaza's owner, KBS, in the transaction.